Despite the unpredictable and volatile market, cryptocurrencies have always been and still are on the rise. Just like any other form of currency, it must be stored securely, hence, the need for cryptocurrency wallets. And, when it comes to offering protection for your funds, no wallets are as secure as hardware wallets. In short, a hardware wallet is a USB device equipped with a closed security system that can hold your private keys. Hardware wallets also process your payments faster. One thing to note is the fact that your tokens aren’t stored within the wallet but on the blockchain. Therefore, hardware wallets hold all the private keys and seed words that are actually what connects you to your cryptocurrencies on the blockchain. Hardware wallets also boast some of the best security technologies and are always encrypted, meaning that even if they are stolen, no one will be able to access your private keys. Furthermore, since they are not constantly connected to the Internet, their online exposure is so limited that cyber-attacks are highly improbable. If you’re serious about keeping your cryptocurrency safe, then hardware wallets are definitely the way to go, even though they are not as convenient to use as a desktop or mobile wallets. The Trezor wallet is one of the most secure, as well as one of the oldest wallets on the market. Over the years, the wallet has earned a solid reputation for reliability and security. One of the main advantages of this wallet is the fact that it allows you to securely sign off transactions even if your computer’s security has been compromised. Other benefits of using the Trezor wallet include the possibility of integrating it with other wallets such as MyEtherWallet, MetaMask, and Mycellium. 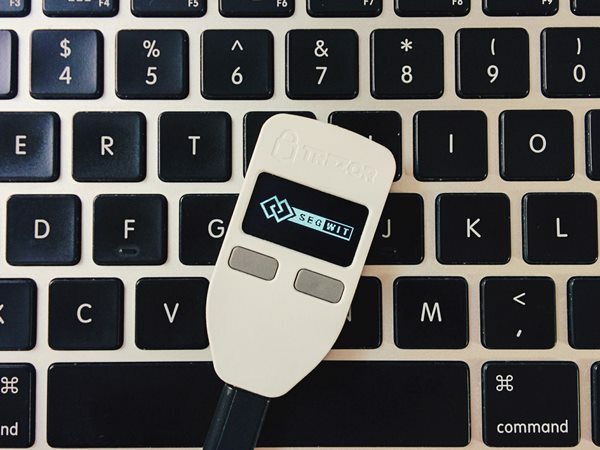 It comes in the form of Trezor One or Trezor Model T, both of which offer support for 689 coins, including some of the most popular such as Bitcoin, Bitcoin Cash, Litecoin, Ethereum, Ethereum Classic, Dash, Zcash, Namecoin, and Dogecoin, as well as all ERC-20 tokens. Ledger Nano S is yet another top contender for the best hardware wallet. The device boasts a minimalist design, clear-cut user interface, and support for a decent number of crypto tokens such as Bitcoin, Bitcoin Cash, Bitcoin Gold, Ethereum, Ethereum Classic, Litecoin, Dogecoin, Zcash, Ripple, Dash, and Stratis, to name a few. Transactions can be checked and confirmed on the screen. The device allows you to choose a PIN while setting it up and use a 24-word seed to generate private keys for your cryptocurrencies. 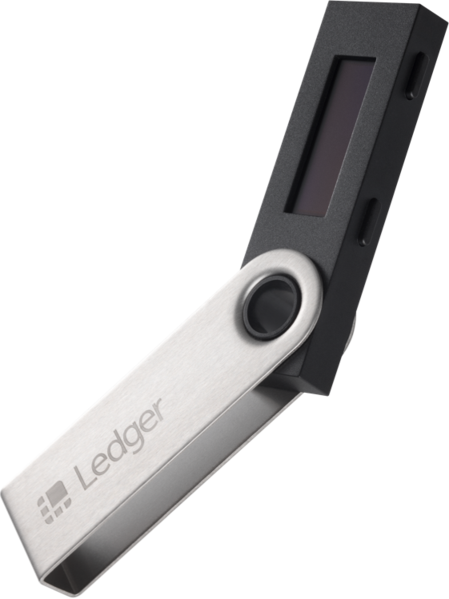 It’s also worth noting that Ledger Nano S can be integrated with wallets such as MyEtherWallet, Mycellium, and CoPay. KeepKey is one of the most powerful and newest hardware crypto wallets out there. It works on almost any operating system, including Windows, Mac, and Linux, and it offers features similar to Trezor and Ledger Nano S. It also comes in the form of a Chrome extension, easily deployable from the Chrome Web Store. KeepKey is one of the bulkiest hardware wallets. However, it has arguably one the best designs of any hardware wallet currently on the market with a 3.12 inches screen. During the setup, the wallet allows you to create a 24-word seed in offline mode. One of the most interesting advantages of this wallet is the fact that it boasts ShapeShift integration, which provides you with 500 unique trading pairs. Currently, the wallet offers support for 36 cryptocurrencies, such as Bitcoin, Bitcoin Cash, Dash, Dogecoin, Ethereum, Litecoin, Aragon, Augur, Basic Attention Token, and Bancor, among others. Regardless of its drawbacks such as large fees and long transaction times, Bitcoin is still the most valuable and the most popular cryptocurrency of our time. If you’re planning on mainly storing or transferring Bitcoin, then CoolWallet S is a very good option to consider. The main advantage of this particular wallet is its flexible credit card-like design, meaning that you can easily fit it into your wallet. It’s also one of the most stylish hardware wallets currently on the market. Just like other hardware wallets, it stores your private keys 100% offline. Other noteworthy features include support for Bitcoin, Ethereum, Litecoin, Ripple, Bitcoin Cash, and other ERC-20 tokens, the smart integration with a decentralized hybrid exchange called Joyso, and sublime integration with your iOS and Android mobile devices. To pair it with your mobile devices, you will first need to download the official apps from the designated stores such as the Google Play store and Apple’s App Store. 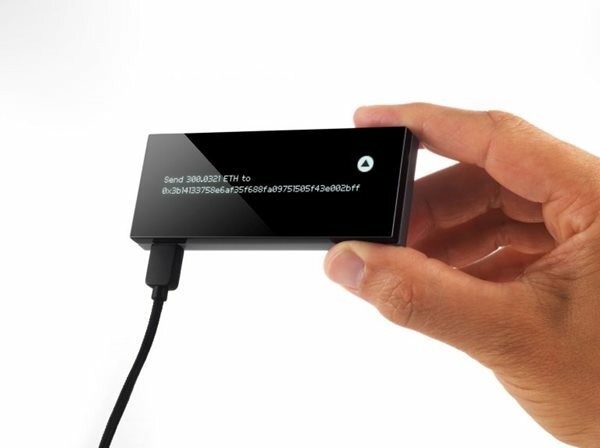 Created by the Swiss company Shift Devices AG, the Digital Bitbox wallet is yet another hardware wallet worth considering. It’s minimalist and fairly cheap, but does not make compromises regarding security. Getting started with Digital Bitbox is not at all challenging as you only have to download and install the latest desktop app for either Windows, Linux, or macOS desktop devices, and plug in the wallet after you have inserted the provided Micro SD card. The device comes with support for Bitcoin, Ethereum, Ethereum Classic, and most ERC-20 tokens. Last on our list is OpenDime, a compact hardware wallet that allows you to store Bitcoin within a secure environment. It’s also one of the least expensive hardware wallets currently on the market. It comes with clear instructions, and the device is very easy to use, even by novices. Sadly, it only supports Bitcoin, and the extremely small size might mean that it could get lost easily. Another disadvantage is the lack of a screen, which may be an issue for some users. At the end of the day, hardware wallets might not be for everyone. However, there’s no denying the fact that hardware wallets offer the best combination of security and accessibility there is. We hope you choose well.